May is upon us! Since we’ve gotten through April showers (more like snow showers), it’s time for May Flowers! 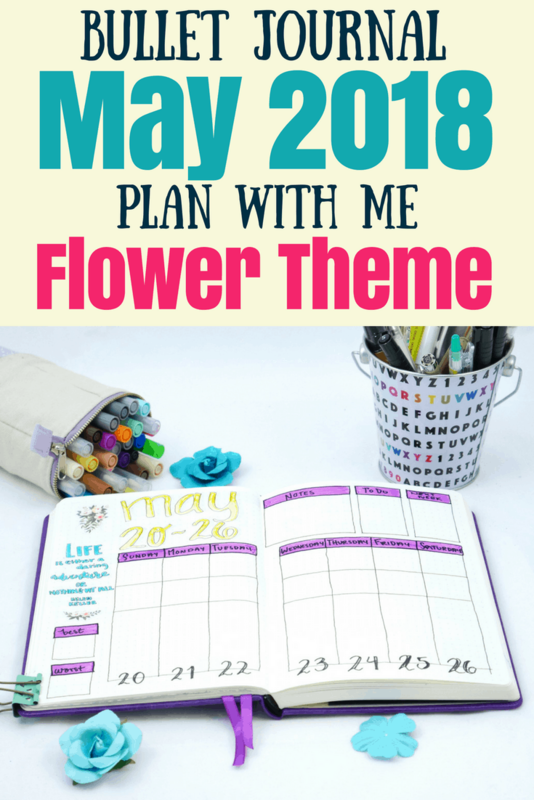 Seems like May is truly perfect for a flower theme, right? May is my favorite month. Maybe I’m biased because it’s my birthday month, but I love the warmer weather, the thunderstorms, the smell of wet mud, and seeing Mother Earth renew again. Not to mention, I’m totally over snow this year. May of this year is also going to be a busy time. 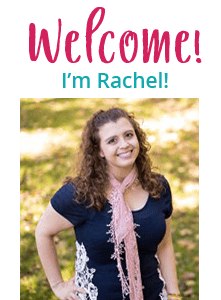 My full-time job is about to launch into a new electronic health record system that affects over 30,000 employees and I’ll be deeply involved with assisting. 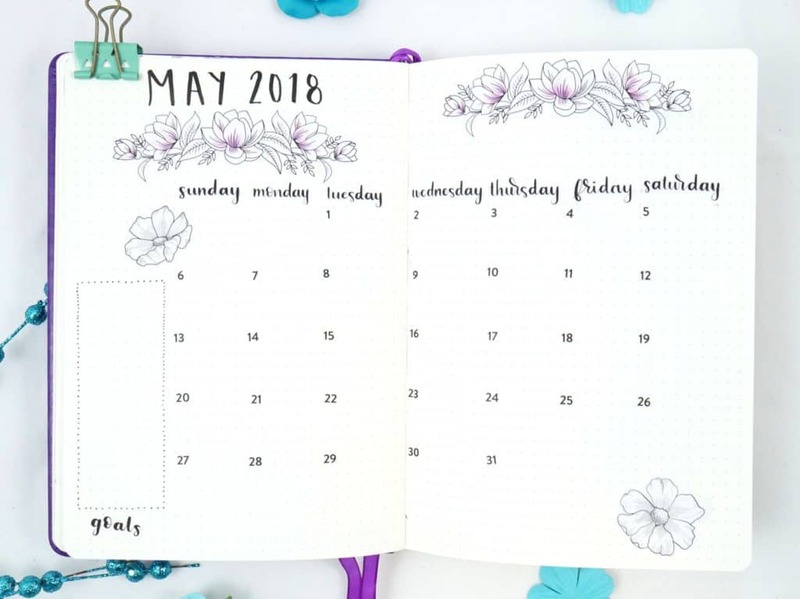 Thus, due to the busy period, I really needed to simplify my spreads for the month of May. That, and it’s been a while since I’ve done a more significant overhaul of my monthly structure. All in all, April was a pretty good month. 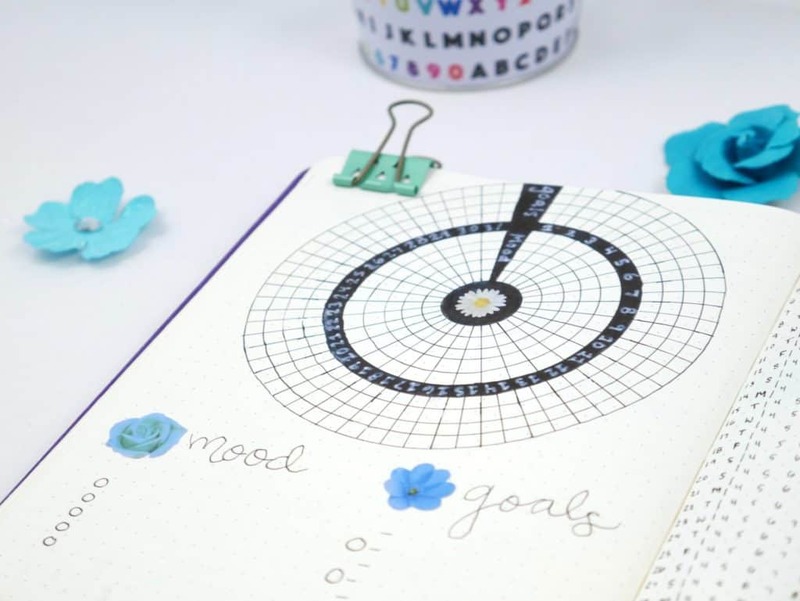 My regular bullet journal was great, but my workout bullet journal was sorely neglected. It’s been a pretty busy time with work, so I suppose I can’t feel too angry at myself. I’m grateful that the Scribbles that Matter Bullet Planner is as flexible as it is partially-structured. Once I’m ready to dive back into that world again (hopefully by Mid-May), I’ll be able to move back easily. 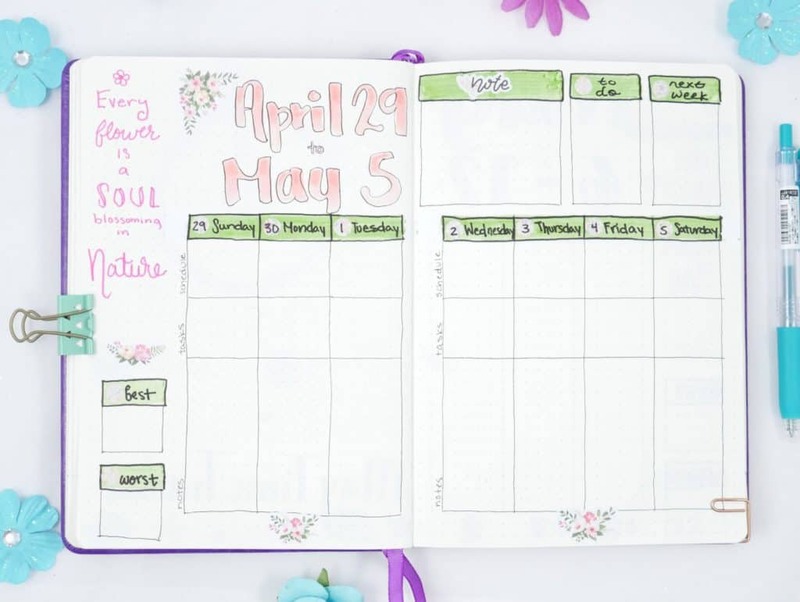 Simplifying is the general consensus gathered from my April bullet journal layout. It isn’t so much that April’s set up was overly complicated, but a large work project in my full-time job is going to require me to simplify. Between now and May 18th I’ll be working a lot of overtime. 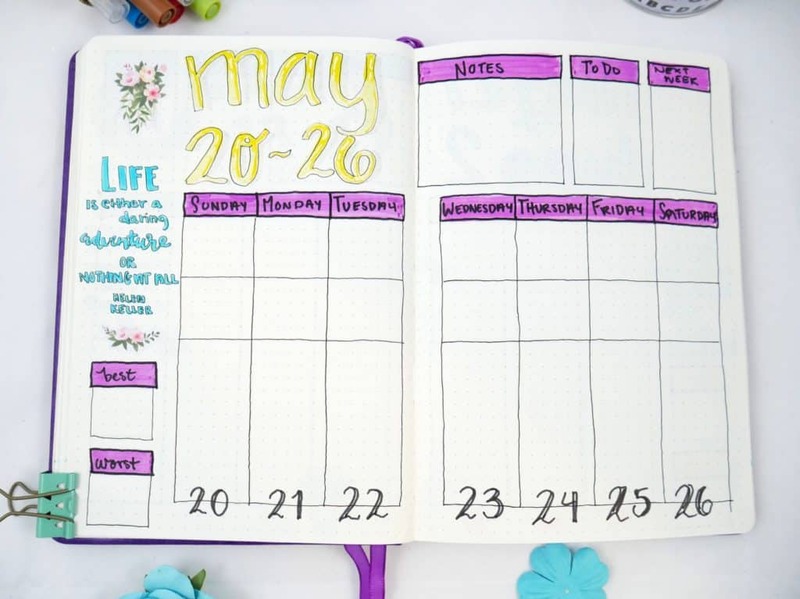 Beyond simplifying, the biggest change I’m making in May’s weekly layouts is eliminating the time trackers. Yet, I’m not getting rid of the time trackers entirely. I decided that a lot of space in my sleep tracker isn’t used, so why not track all my time in the same format? 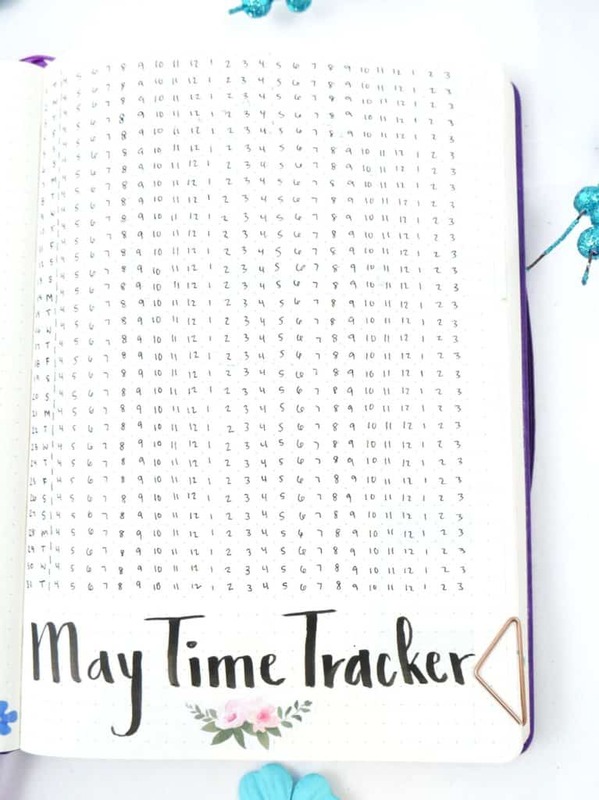 So my May sleep tracker is now a ‘Time Tracker’. I’ll go more into how I use this below. For the month of May, I went with a flower theme. 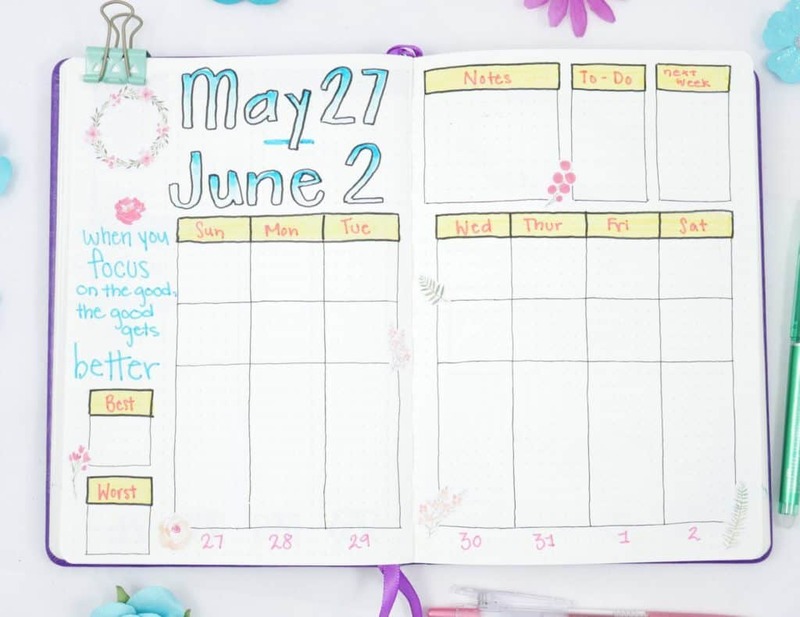 Flower themes are great because they are simple, customizable, and (if you’re busy, like me) there are a ton of great sticker options for easy decoration. This month I tried flower stickers from three different shops, and I’ll have to say, I am pleased with all of them. The variety of styles gave some different looks to each layout. My wonderful friend Rose was kind enough to send me a handful of her stickers to try from her shop. She is an incredible artist and her stickers largely influenced why I chose a flower theme for the month of May! I used a compass tracker to lightly outline a large circle in pencil. Then I laid the flower stickers I received from Rose around different parts of the circle. I used an eraser to clean up any remaining pencil markers. Last, I used a hard-tip brush pen to write out the month. I absolutely love getting to use stickers in my bullet journal. Using stickers instead of drawing out the flowers saved me quite a bit of time. 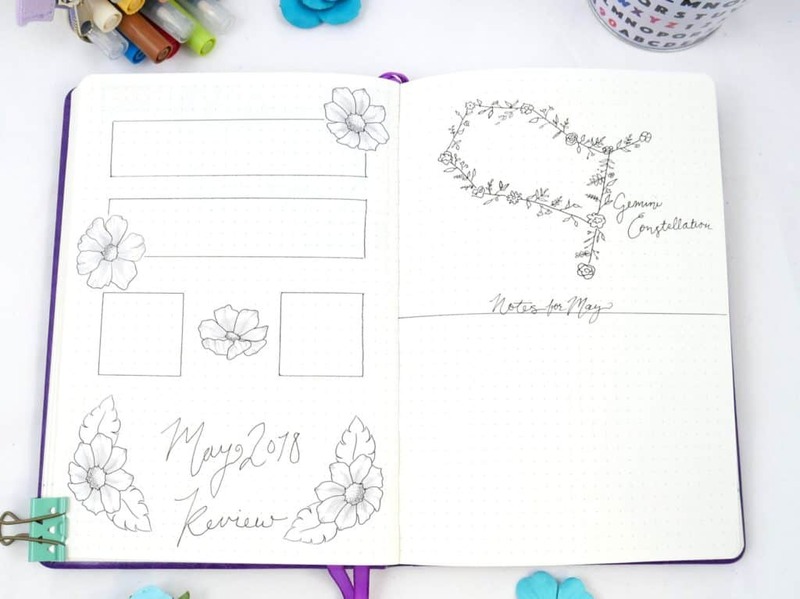 They are definitely one of my favorite ways to easily decorate a bullet journal! 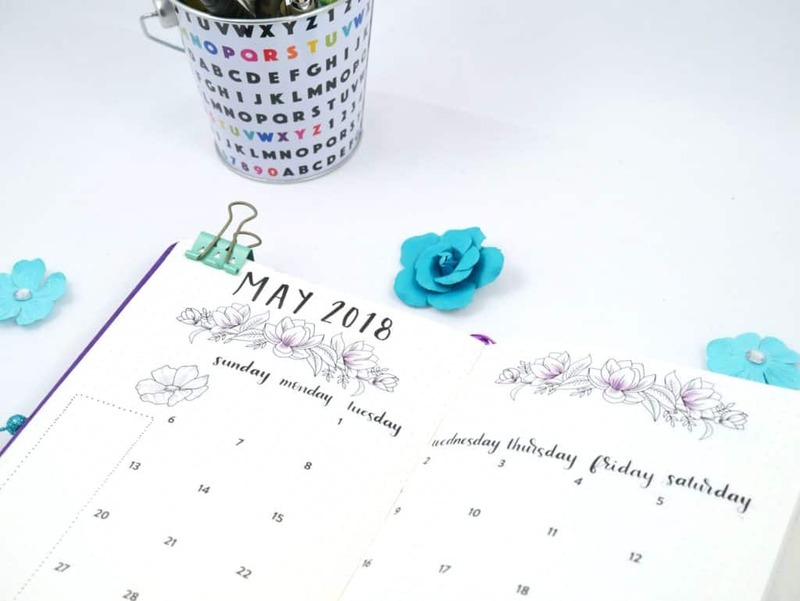 The monthly calendar features more flower stickers from Rose’s shop! 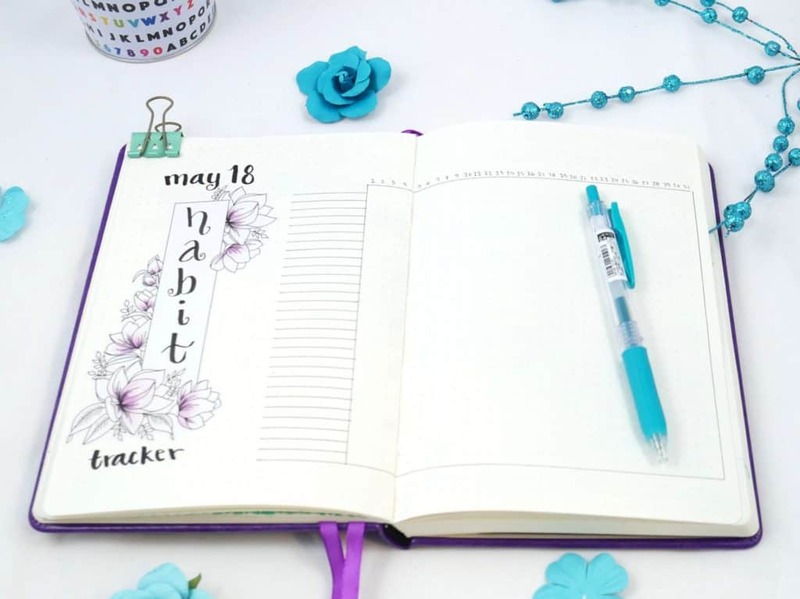 This amazing flower banner was a perfect compliment to my two-page habit tracker! Definitely was one of my favorite stickers to use to compliment the flower theme this month. 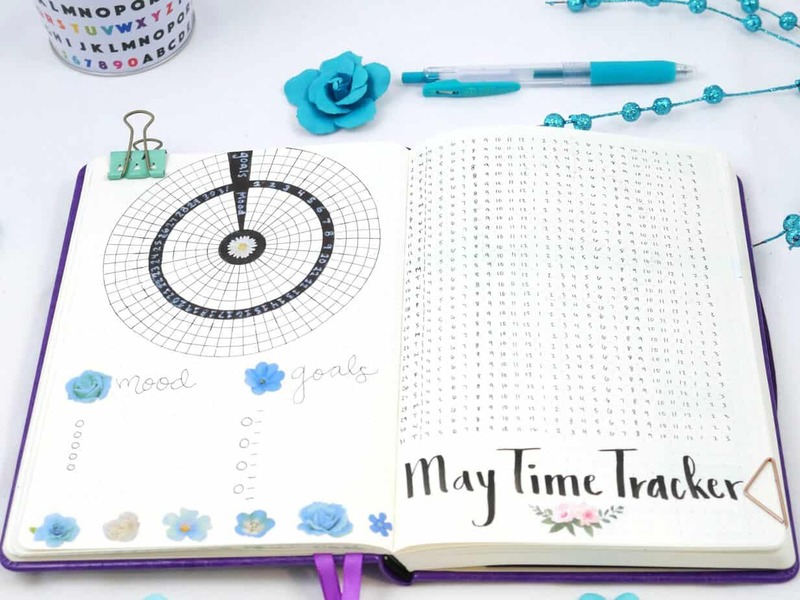 I’m so thrilled I figured out how to combine my mood and goal trackers in one circle last month! I decided this month to do more of the same. In April, I wasn’t totally happy with how I separated the mood tracker and goal tracker, so this month I made more of a defined border between the two trackers. Materials Used to Build Page: Moxiedori Circle Tracker, Pipsticks stickers, Sakura Pigma Micron Fineliners. In my review of April’s layout, I mentioned that I transitioned my sleep tracker to a general time tracker. As I complete a specific activity at any given time, I highlight that section of time in the tracker. Different types of activities are connected to specific colors of Zebra Fineliners. I waste a lot of space in my sleep tracker if I’m only tracking sleep. Now I get to use the entire day tracking various activities! Plus, my weekly layouts look less busy when filled out. For May’s weekly layouts, you’ll see I made a lot of significant changes as compared to the layout I had for April. 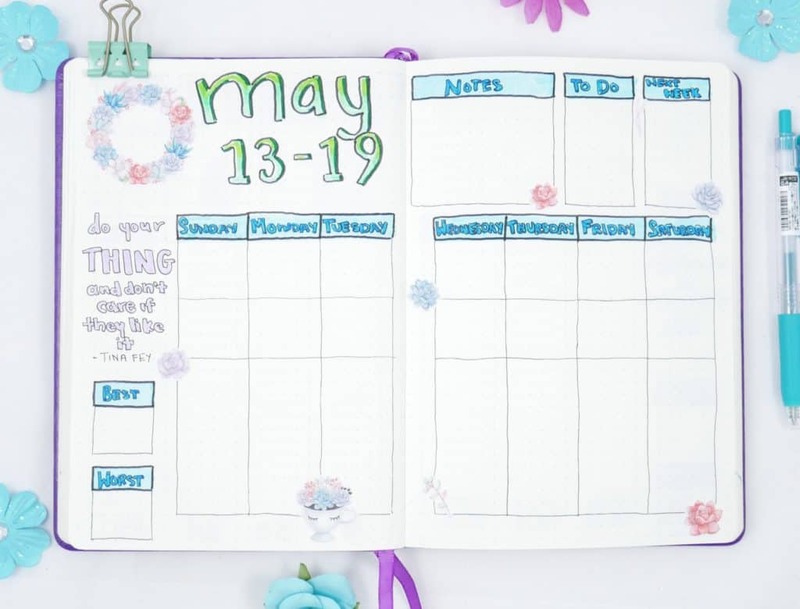 Probably the biggest difference is that I eliminated the time tracker altogether from the weekly spreads.I used lots of stickers to decorate, which was perfect! 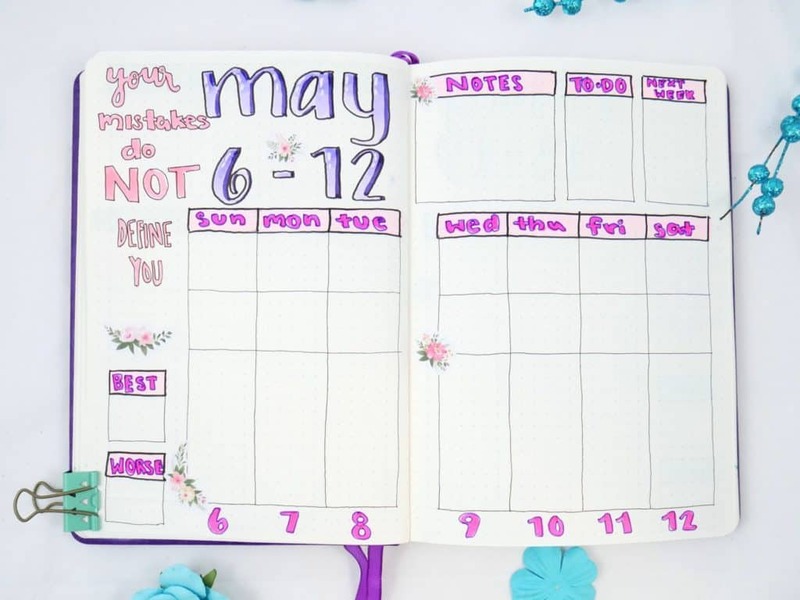 I got to have my pretty flower theme while saving tons of time making bullet journal layouts. Materials Used In Weekly Layouts: Zebra Mildliners, Tombow Dual Brush Pens, Sakura Pigma Micron Fineliners, Tombow Fudenosuke Brush Pen, White Gel Pen, RoseKPaperCo Stickers, Paperkumaco stickers, Pipsticks stickers. 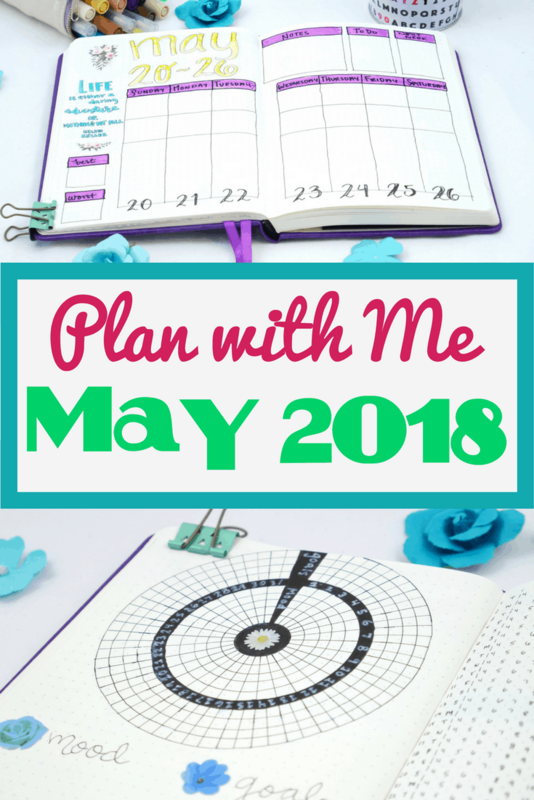 While I won’t dive into the nitty-gritty of the May Monthly Review until next month’s plan with me, I love to get to show off what I created at the end of the month! I always use this layout to serve as the transition from the current month’s theme to the next month’s theme. I utilized Rose’s flower stickers again for the left page because I didn’t have enough space to try combining themes in the space left over. On the right page, I decided to combine the themes above the ‘May Notes’ section. Any guesses to what June’s theme will be? I’d love to hear your guesses! Notebook Used: Scrivwell A5 Dot Grid Notebook. Show Me Your Flower Theme! 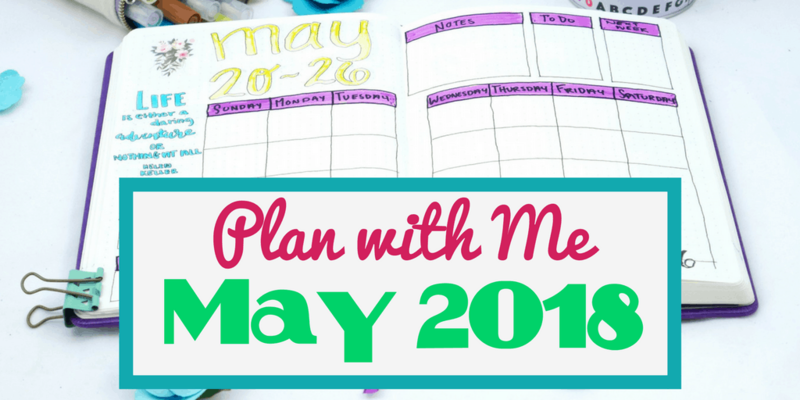 Want to get involved with Planning Mindfully’s Plan With Me series? There are a few different methods to join, and this month I’ll send a small prize to a random contributor who participates! I will pick a winner on May 15th, 2018 and notify them through DM/Email (depending on which format winner used to submit their contribution). June will be here faster than we know it and I’m hoping to have at least a brief video plan with me to share along with the blog post! Do you want me to go over anything in particular in a future “Plan With Me” video? Please let me know in the comments and I’ll do my very best to incorporate your wishes in that video. 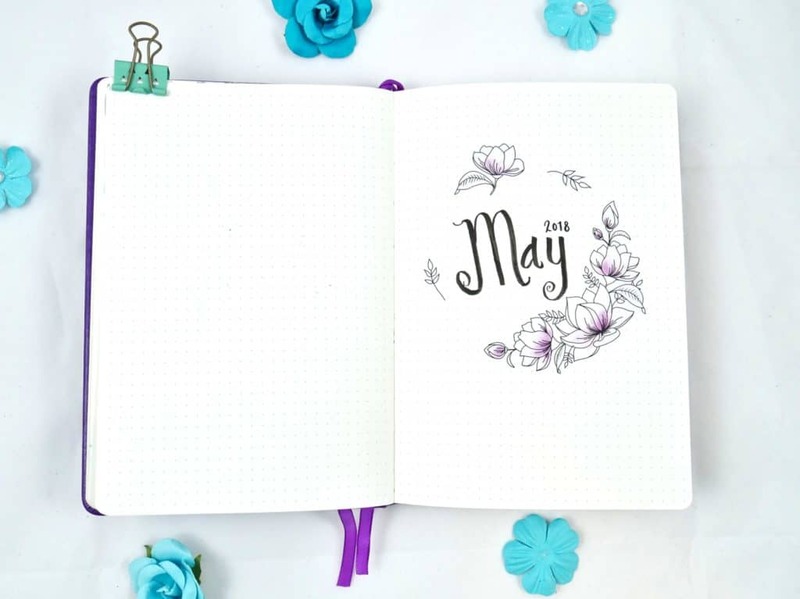 Did this inspire you to start your May bujo spreads? Share the love with others by pinning on Pinterest! Hi there! I love your website 🙂 ! You give us helpful information in such an easy-to-read format; it’s really appreciated! 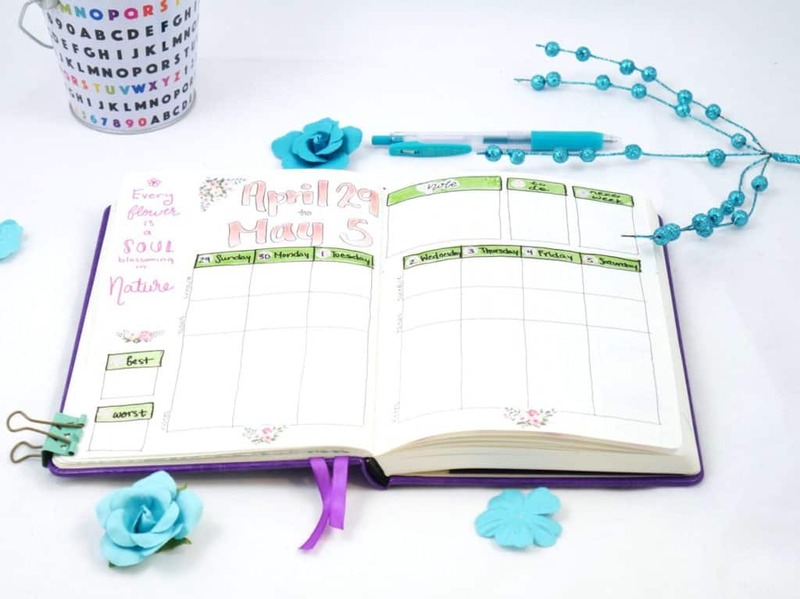 A topic from which I could benefit in your video is something along the lines of how to handle your (well, mine 😉 ) needs/desires to constantly change your planner. I absolutely love looking at each & every Pinterest notification I get sent, sure that there is ALWAYS going to be a better, more helpful way of formatting my planner. It kind of wastes my time, even though I enjoy it. How do you keep yourself from being obsessed with all of the options out there? Oh, and I did change my Pinterest notifications to stop being so tempted 😉 . Thank you if you’re able to address this at all 😉 !